It is devastating to lose one’s professional license. When one walks out of a hearing, at which the administrative judge recommends suspension, then they are likely left with a feeling that their life is essentially over. Years of education, work, and devotion seem to have gone to waste. Fortunately, Arizona allows for the appeal of a licensing suspension. One may be able to use this process to either gain a new hearing or to reverse the decision completely. The appeal process, however, is different than the initial suspension process and matters must be handled correctly. Our Phoenix licensing lawyer handles the appeals of Arizona professional licenses. Contact our office today to speak with an attorney. An appeal is a different process than the one faced during the license suspension process. An appeal begins by filing a “Notice of Appeal” with the Superior Court. After other formalities an opening brief is filed by the Appellant and the Licensing Board will file a response. After all the documents have been filed then an oral argument will be held before the Superior Court Judge. The Judge will issue a decision which will either uphold the original suspension, require a new hearing before the Administrative Law Judge, or outright reverse the decision and reinstate the professional’s license. 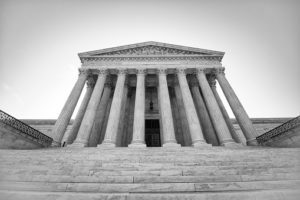 The handling of an appeal is based on law, and not fact, and it is crucial that you have an experienced appellate lawyer handling such matters. Bretton Barber is a Phoenix attorney who handles the appeals of license suspensions for psychologists, therapists, nurses, pharmacists, real estate agents and brokers, doctors, contractors, and others. Once retained Bretton will immediately acquire the necessary records to analyze what happened at your suspension hearing. He will ensure that all appealable issues are raised with the Superior Court and will be in contact with you throughout the process. Bretton understands that this is a stressful time in your life and that you need to know what to expect as the process moves forward. He regularly provides clients with his cell phone number, promptly returns phone calls, and makes himself available to answer your questions. Contact us today to speak with a lawyer. In addition to Phoenix we represent professionals in other Maricopa County cities such as Mesa, Glendale, Scottsdale, Chandler, and Gilbert. We also assist Pima County residents in Tucson. It is important to understand both that appeals are time sensitive and that they are complex. Failure to do something within the requisite time frame and to do it properly may result in your appeal being dismissed for technical reasons. Many attorneys do not handle appeals due to their complicated nature. Bretton has experience handling professional licensing matters and handles appeals. Contact us today to speak with our lawyer.